Raised in a wonderful Christian family, Jim became a believer at a very young age. As a result of pondering the glory of God in the starry skies, and through hearing the Gospel in good upbringing, he trusted Jesus and the Cross when he was only 5 or 6 years of age. 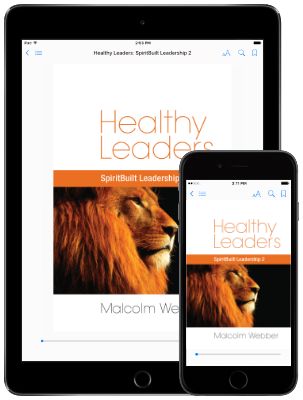 Now working with LeaderSource in the development of curriculum, Jim writes materials for biblical instruction and leader-building with special attention to cross-cultural relevance and personal transformation through a living relationship with Jesus Christ. Jim has never been to seminary, but he bears a burden to see sound theology and biblical truth communicated in an “Everyman” style. To learn more about Jim Brenneman’s work in missions and leader development, contact him by email: [email protected]. Why Are There Imperfections and Brokenness? How often have we been challenged by the “problem of evil”? If there really is a “God,” then why is there so much suffering and evil in the world? In fact the existence of evil, and our distress over the unfairness of it – this angst over evil ‒ is a strong evidence that there is a powerful God who cares! Should I be open to correction from those I am leading? Why are we where we are in our daily lives? People from different places all over the world were mysteriously brought together to observe the recent eclipse. So why are we here – wherever “here” is? It is no mystery that God Himself has placed us wherever we are to accomplish His eternal purpose. Who does the Lord send? Who will go? This article recounts an incredible moving of God’s Spirit in the hearts of young Asian leaders training to be missionaries. How can we lead our people to respond, “Here am I” when the Lord calls their name? So, how big is the whole universe? Astronomers calculate that the edge of the observable universe is about 46.5 billion light years away. Does it make you feel small? Yes?! Though we are so small, still God can use any of us to lead others in accomplishing His great plan. Do you know that the Lord Himself finds joy and satisfaction in His people? God’s people give Him pleasure! He joys over us with singing and takes delight in us. The new creation that is the church is a foretaste of the New Heavens and New Earth. While awaiting that glorious future God Himself says that we ought to rejoice in the people He has created. Enjoy the fruit of the ministry. See what the Lord has done and be glad in it! Missions work must center around bringing the Gospel to people who have never heard it, making disciples ‒ evangelism. A great harvest has resulted in the nations of the world, and now a crisis of insufficient leadership overwhelms the rapidly growing numbers of believers. Many become ensnared in cults and extreme teachings. The desperate need is for leaders. Jim Brenneman gleans from the example of Paul's ministry the remarkable pattern of immediate identification and building of indigenous leaders. God in His sovereignty will perfectly accomplish His eternal plan for all of creation. We can choose to enter into the grand fulfillment and culmination of that plan – the establishment of His eternal kingdom. So now the big time basketball championship is history for another year and the man who is argued to be one of the greatest players of history was on the losing side. How well this illustrates the need to avoid the Superstar Leadership Strategy!